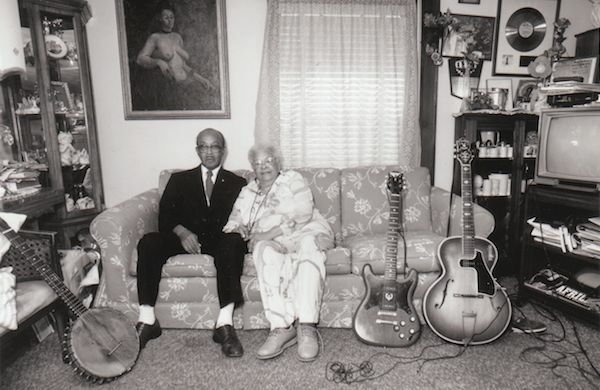 Blue Lu Barker and Danny Barker at home. Photo by Syndey Byrd. Her voice was never as buxom as she was. Her husband’s fame outgrew her own. Still, Blue Lu Barker remains an important icon of New Orleans jazz and blues 12 years after her death. And while her best-remembered material dates from the ’30s when she was living in New York City, Barker continued performing, especially after resettling in New Orleans, well into the 1980s. Some song titles? I Feel Like Laying in Another Woman’s Husband’s Arms. Loan Me Your Husband. Love that Man. I’ve Got Ways Like the Devil. Marked Woman. On her last recording—an appearance from 1989’s New Orleans Jazz Fest not released until the year she died—Lu’s voice wears the cellophane mask of time, yellowed and brittle, yet filled with oaken substance. As she crackled on, the fans roared in approval while the band churned behind her. Age was not a hindrance. Instead, it was the rattling declaration of Blue Lu Barker’s story, her crinkling vocals a memorial to a life lived well. Her dad operated both a pool hall and a candy store, where he sold bootlegged liquor he made at home. As a kid she focused on dancing, but she was singing as early as seven years of age. 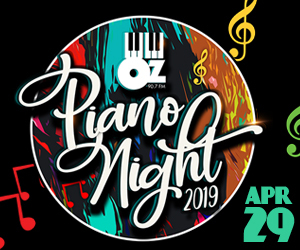 Yard concerts would feature a piano, maybe a kazoo. “We’d get paid $3.50 for being in the concert, but we’d spend more than we made,” she said. The risqué persona was born out of those times, a performer’s mask to hide behind. “Mother taught me in front of the armoire…but when she was asked about it later, she said, ‘Nobody ever taught Lu anything like that in this house.’ She went to all my concerts, even tried to smoke like they did in New York. I guess you could say she was sassy,” Barker told documentary filmmaker Suzanne Rostock. In 1930, Louisa Dupont married Danny Barker. She was barely 16. They remained married until Danny died 64 years later. Her career really hit in the late ’30s when she recorded 24 sides for Decca. Her delicate voice gave the songs the right dollop of intrigue. Her voice proved a perfect foil for genius trumpeter Henry Allen’s horn lines. Blue Lu also recognized the importance of a jazz funeral. When her husband died, she made sure that the real traditions of jazz funerals were honored. She felt many jazz funerals had gotten away from what they were meant to be. In May 1998 the fun was over. She received her own jazz funeral, having succumbed to natural causes at the age of 84.
you done good Cherry. Great tribute , great piece. Yeah, that story, it’s so rich and full of twists and turns, was just happy to be able to do Blue Lu justice. Blue Lu sang in Carbondale, Il in early 1960’s . I have an account of that concert written at the time.